○ Daegu has been named as the host city for International Computer Music Conference 2018. 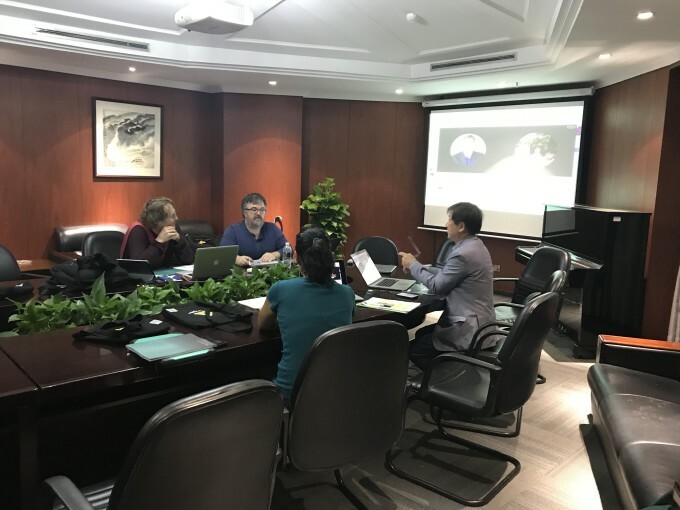 ○ The elected host city was announced on 15 October by Daegu City, Daegu Concert House, Daegu Art Factory and Daegu Convention & Visitors Bureau after the board meeting of 2017 International Computer Music Conference (ICMC) held in Shanghai, China. ○ Daegu highlighted active support as a UNESCO creative city for music as well as a culture & arts city with rich cultural performance resources and infrastructure while competing with New York. As a result, directors of branch offices in the United States, Europe and Asia-Oceania and the Board of International Computer Music Association (ICMA) unanimously chose Daegu as the host. ○ In order to win this event, Professor Park Taehong of New York University(Co-chair & director of ICMA), Professor An Dujin of Hanseo University, Daegu city, Daegu Concert House, Daegu Art Factory and Daegu Convention & Visitors Bureau made a joint-effort. ○ The International Computer Music Conference, which will be held in the summer of 2018, has been held forty-four times since 1974 and has a total of 400 participants including composers, musicians, music software and hardware developers and researchers, and deserves to represent itself as a prestigious event with tradition in the field of computer music given the fact that FM sound inventor John M. Chowning and MAX program developer Miller Puckette joined the conference as a main speaker. ○ Computer music is a new musical genre where computing technology is applied in music composition. The music is composed by computer programs and played with general instruments. Since 1957, experimental works such as 'Computer Cantata (1962)' of Hiller and Baker have come to pour out. ○ ICMA (International Computer Music Association), founded in 1974, is an international affiliation consisting of computer music composers, musicians, music software and hardware developers and researchers. It holds ICMC every year, publishes ARRAY journal and relevant papers, and deals with computer music performances. The main interest of this affiliation lies in artificial intelligence (AI), music informatics, digital signal processing, intermedia, multimedia, and human-computer interaction. It is made up of members from 50 countries. ○ Professor Park Taehong of New York University and Professor An Dojin of Hoseo University, co-organizers of ICMC 2018 said, "The International Computer Music Conference 2018 will serve as a venue where music developers and musicians will be able to discover new areas of music and computer music created by fusing social phenomena with music that fits in the times over the last 60 years. ○ Bae Youngchul, International Cooperation Officer, said, "2018 will become a monumental year for Daegu as a culture & arts city as the city will hold the International Computer Music Conference as well as the Annual Conference of the Performance Studies International (PSi) which was announced in December last year. * Annual Conference of the Performance Studies International was established in 1997 by Richard Schechner, the father of 'Performance Studies', an international conference with a total of 500 participants (250 overseas) each year.